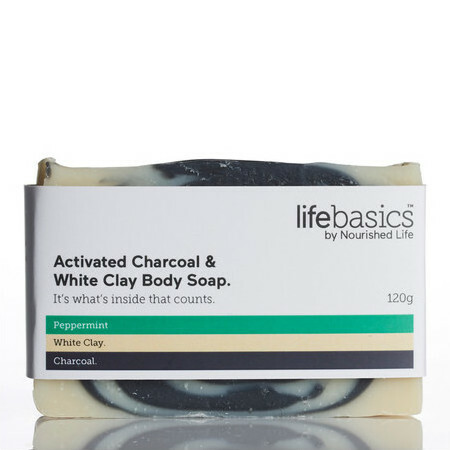 The Life Basics White Clay + Activated Charcoal Body Soap combines two cleansing ingredients with the finest natural oils to moisturise the skin. White Clay is one of the most mild exfoliants, making it ideal for deeply cleansing the skin, even for sensitive and dry skin. It also helps to detoxify the skin by absorbing and removing impurities. 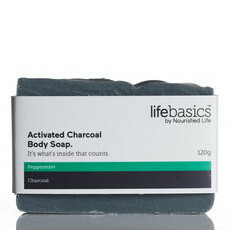 Activated Coconut Charcoal cleanses the skin by removing dirt and absorbing impurities. This key ingredient also provides very gentle exfoliation to ensure your skin is soft and smooth after each wash. Olive Fruit Oil, Coconut Oil and Grape Seed Oil moisturise the skin, while Peppermint Oil provides a subtle, uplifting scent. Avoid if pregnant due to the essential oils. . Made in Australia. Vegan. 100% palm oil free. Not tested on animals. Olea Europaea (Olive) Fruit Oil, Cocos Nucifera (Coconut) Oil, Water (Aqua), Vitis Vinifera (Grape) Seed Oil, Ricinus Communis (Castor) Seed Oil, Sodium Hydroxide (no residue remains after saponification process) , Candelilla (Euphorbia Cerifera) Wax, Kaolinite (White Clay), 100% Activated Coconut Charcoal, Mentha Piperita (Peppermint) Oil*. *Do not use during pregnancy due to essential oil content. 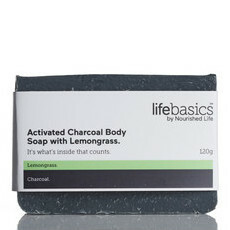 Apply to your body in the shower or bath. 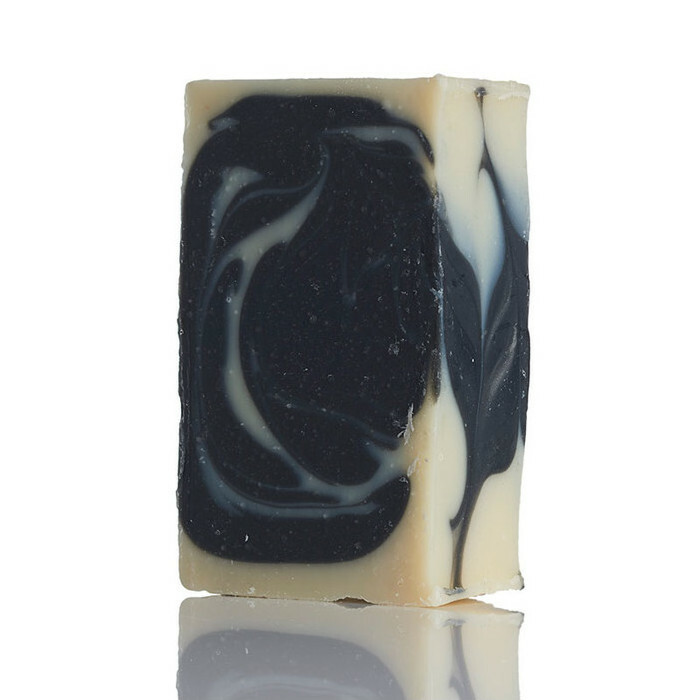 Remember to keep your soap dry between use for a long lasting bar. 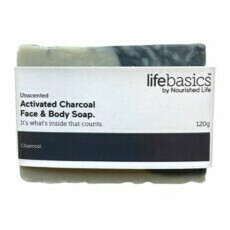 Love this soap if I've spent the day out in the paddock and want to feel extra clean. It has a beautiful smell to it. I find it a little too drying for my skin if I'm not too dirty. It gets a little messy when kept damp so make sure you drain/let it dry. 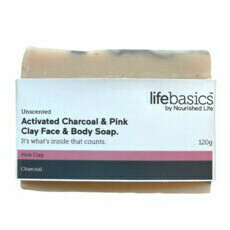 Seems good but I prefer the pink clay for the face and blackheads more.